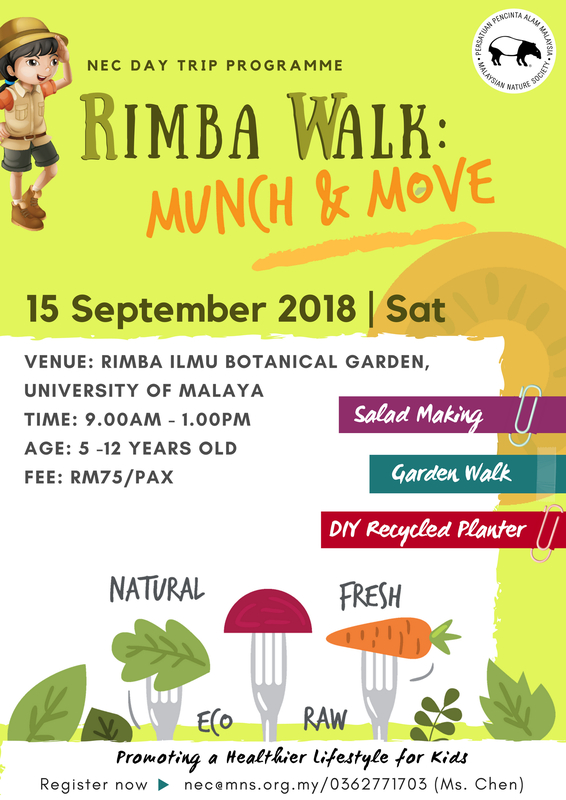 Come and join the upcoming programme named Rimba Walk: Munch & Move which organized by NEC on 15th September 2018. We will be going to Rimba Ilmu Botanical Garden, University of Malaya to explore about the garden’s knowledge with your kids. Other than that, identifying various plant species and its important values in tropical rainforest will be shared too along the walk. and have an opportunity to reconnect to nature at the same time. **Fee includes light breakfast for kids, entrance fee to Rimba Ilmu, activities material, certificate and MNS facilitators.